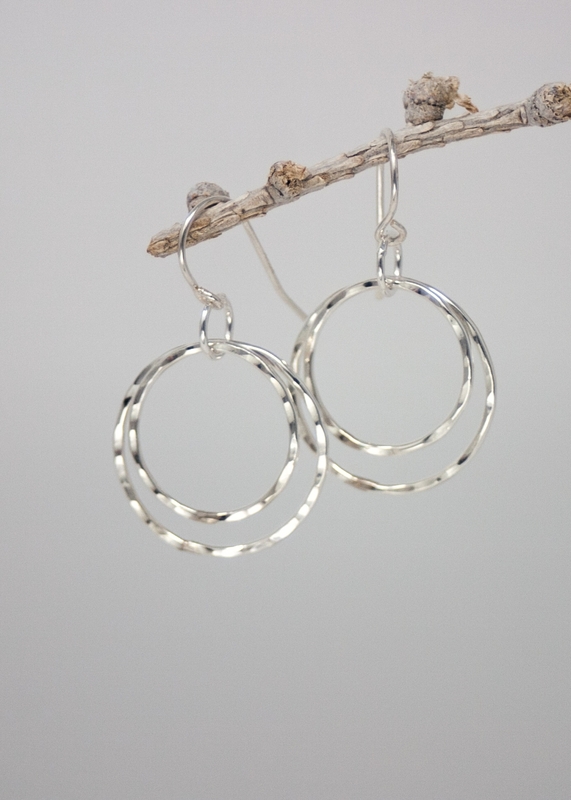 Sterling Silver double hoop hammered earrings. 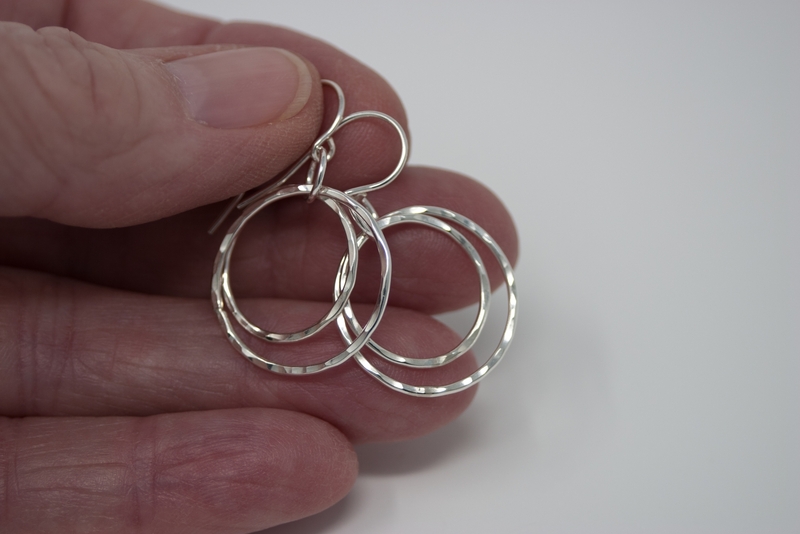 Hand turned and soldered with silver solder, they do not contain nickel. 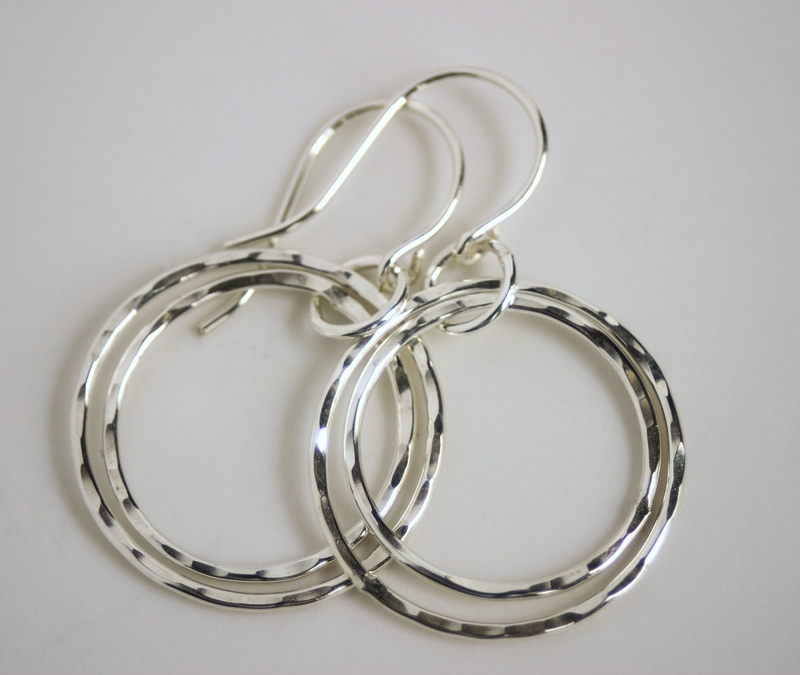 Lightweight, they have a hammered effect for dimension and interest. 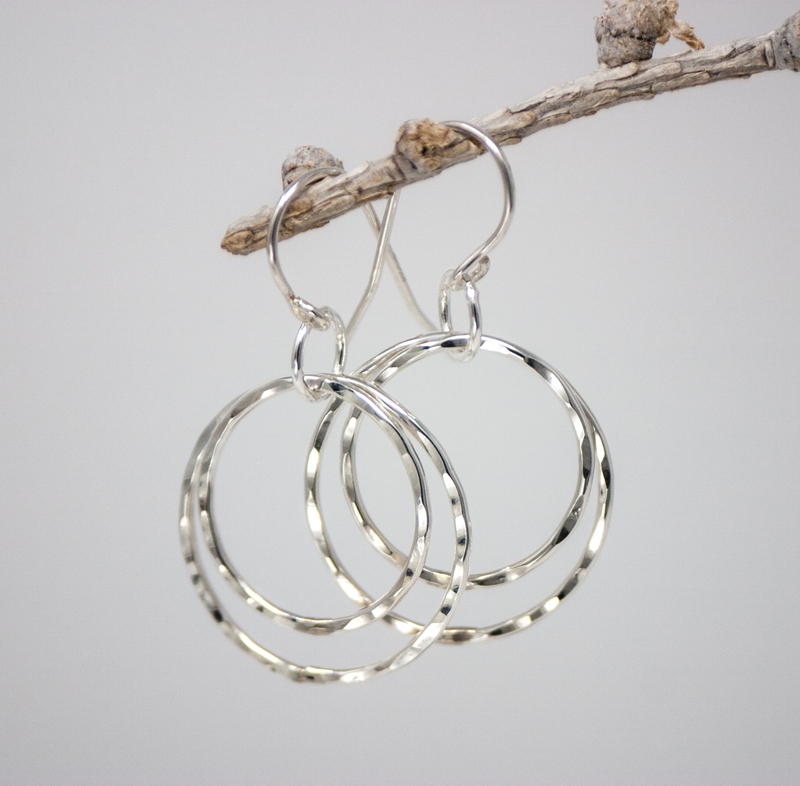 3/4" in size,you won't even feel them in your ears. 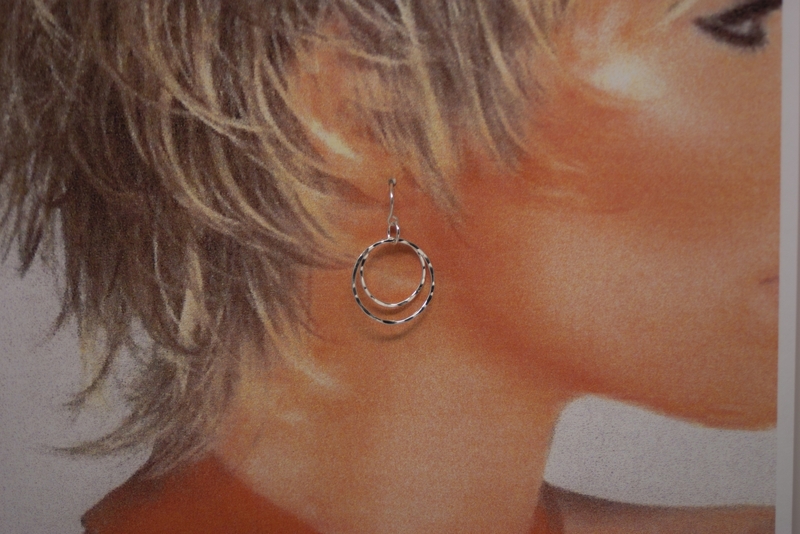 My handcrafted sterling ear wires are also nickel free. 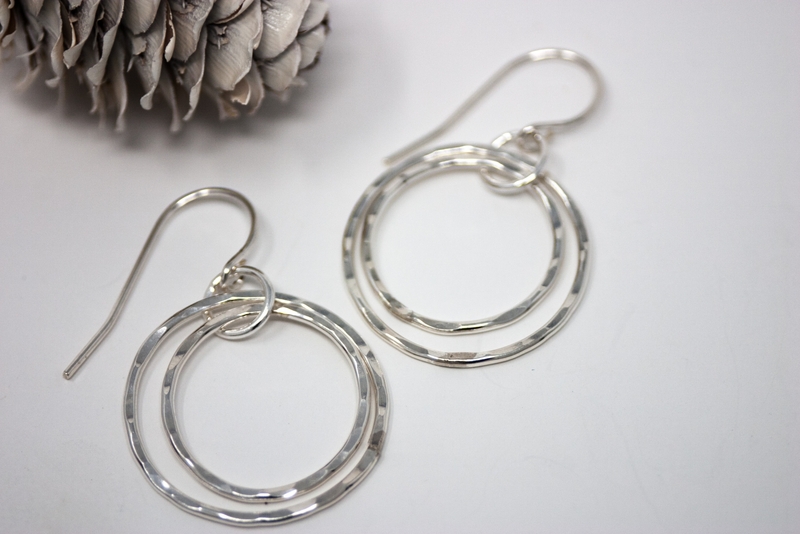 Casual with jeans or dressed up for date night, these beauties are perfect for when you want just a little twinkle! 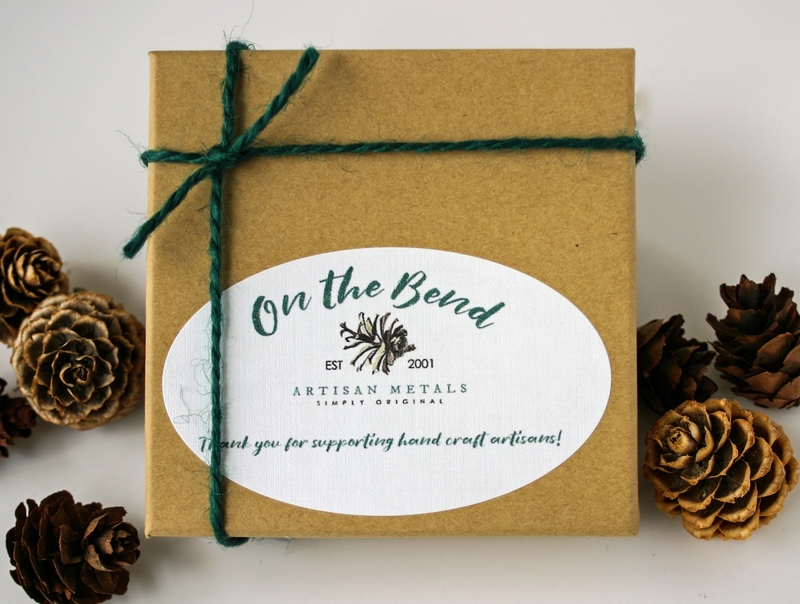 ** I'm proud to say that I use high quality, nickel free, refined (recycled) silver & copper that is sourced from an eco-friendly refinery in the U.S.! Priority shipping upgrade is available; make your selection at checkout. If you have any problems just contact me and I'll make it right.